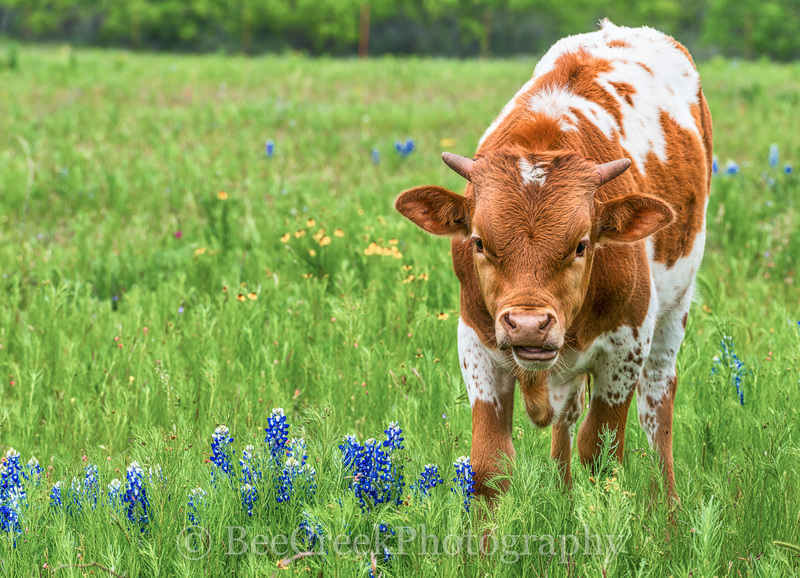 Longhorn Calf with Bluebonnets - We loved this little Texas longhorn calf in a field with some bluebonnets. . Photo © copyright by Bee Creek Photography - Tod Grubbs / Cynthia Hestand.